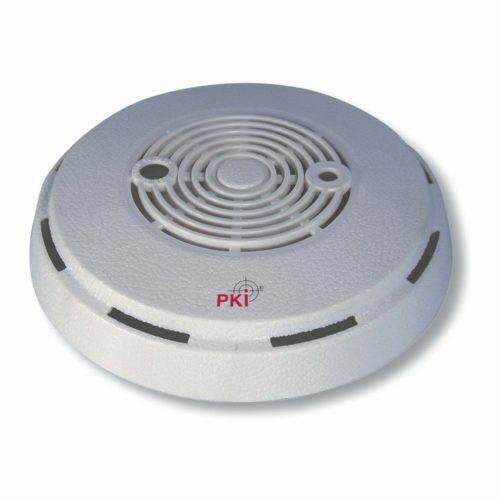 This unit camouflaged as a smoke detector is rapidly installed and offers immediate audio and video monitoring of the room where it is installed. Besides motion detection and voice/noise detection for activation, this miniature video/audio recorder with SD card memory (max. 32 GB) also offers the possibility for manual on/off activation by means of a small inconspicuous remote control (430 MHz / 100 mW / operating range up to 2500 m). All records are provided with date-time stamp. Automatic switching to B/W at darkness to achieve optimum results. Assembly using a self-adhesive metal plate and a strong magnet inside the housing.